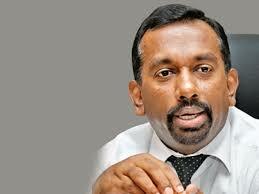 Kanishka Aluthgamage, son of MP Mahindananda Aluthgamage, was arrested on a charge of driving under the influence of liquor, Police said. The Police Media Unit told Ceylon Today that he was arrested by the Kirulapone Police on Saturday evening (24) and later released on Police bail. Kanishka Aluthgamage has been ordered to appear at the Colombo Magistrate's Court today (26). Last week, Ramith Rambukwella, son of former Minister of Mass Media and Communication Keheliya Rambukwella, was also arrested and released on bail for driving under the influence of liquor. He was arrested by the Cinnamon Gardens Police after his vehicle crashed into the wall of a school.